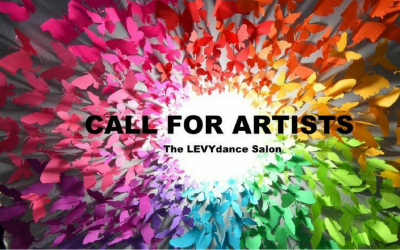 LEVYdance is accepting applications for our November LEVYsalon, a quarterly performing arts showcase. We give 10 artists 10 hours of free rehearsal space to develop ideas, take risks, explore and collaborate to create a new work. Each artist then presents a 5-minute piece, or excerpt, in a casual, speak-easy style showcase followed by a DJ-hosted dance party on November 4 at LEVYstudio. Salons have featured modern dance, theatrical acts, live painting, aerialists, poetry, live music, and music/dance/theater collaborations. With 10 different artists performing 5 minutes each, the audience gets to enjoy a “channel-surfing” effect of flipping through various performing arts, while the artists enjoy an open, appreciative audience.